Officials from the U.S. Strategic Command (STRATCOM) and Air Force Space Command (AFSPC) have announced their decision to optimize the GPS constellation over the next two years so as to improve global coverage for GPS military users in Afghanistan and Iraq. 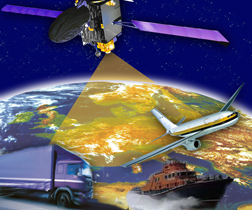 Inside GNSS reported on the initiative last November. The need to support U.S. and allied military operations in Afghanistan and Iraq, where terrain in geographically challenging areas can degrade complete coverage of GPS signals, prompted the Air Force to seek ways to improve signal coverage. STRATCOM officials are charged with the responsibility for providing and maintaining space capabilities to civil, commercial, and military users world-wide. 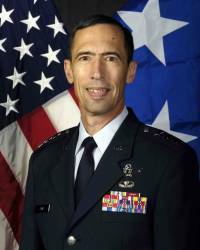 As such, Gen. Kevin Chilton, STRATCOM’s commander, approved an Air Force-developed approach that benefits not only military operations, but also all GPS users. Essentially, the plan will take advantage of today’s constellation size and reposition satellites to improve coverage. The existing constellation replenishment strategy positions new GPS satellites close to older satellites to protect against possible failing satellites. The current strength of the constellation will allow the constellation to be spread out and improve GPS access worldwide. The initiative will take up to 24 months to fully implement as satellites are repositioned within the constellation based on constellation health. The beneficial effect to all GPS users, including civilian users, will be slowly realized during that time period, according to the officials. Over the next two years, the number of GPS satellites in view from any point on earth will increase, potentially increasing accuracy of GPS receivers.